I don´t normally spend much time adding "Fluff" to web sites - but with all the increased compatibility of the various web browsers and proofs of concept like facebook et al that show it works I thought a little bit would be fun and improve the overall user experience. 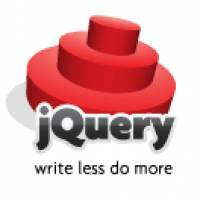 There are loads of libraries out there that make adding "fluff" (and some really user interface tid-bits) much easier and I elected to go with the jQuery library because I quite like it´s structure. I won´t get into the technical reasons why here but if you´re interested you can ask in the forum. The upshot for you, the user, is some big improvements to the way the menus work, the photo gallery, and the speed of the web site. In any regard I hope you enjoy the changes and keep your eyes on the site - because I have a lot more "fluff" to add not that the library is in place!